The launcher window displays the latest news about the game, and also handles patching the client to the most current version of the game, if necessary. This window is your portal to the world of MAXKO! After clicking “Start” on the launcher window and entering your account ID and password, you will arrive at the world selection screen. A character can only exist on the world in which it is created, and cannot interact with characters from other worlds. So if you have friends already playing MAXKO, make sure to find out in which world their characters reside. Also, each world has 2 sub-servers from which to choose. All sub-servers are part of the same world, and hence will retain your character information as you move from one to the next. To log in, click on the server name, then click on one of the three sub-servers, and finally click “Connect”. 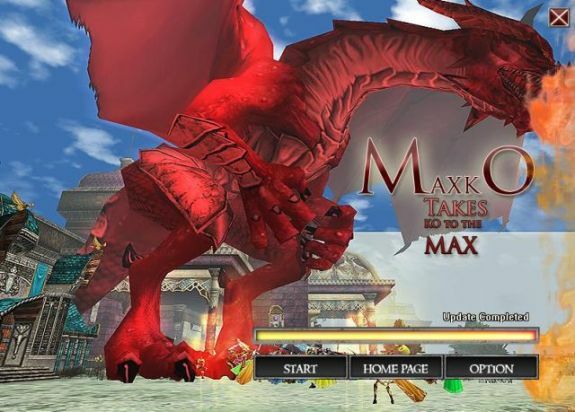 Click the Option button at the account login page to access MAXKO Game Option Setup. 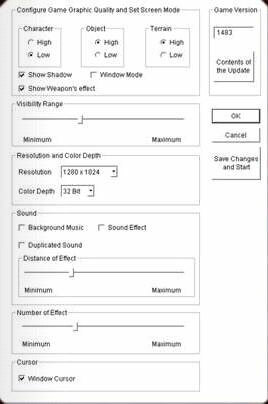 This window allows you to change the game's settings and customize MAXKO so that it runs exactly how you want it to run.